Heartworm disease is no joke! It is costly to treat and if left untreated, it can be deadly. Click here to see our page about treating for heartworm. It's transmitted by mosquitoes and the CDC (Centers for Disease Control and Prevention) recommends yearly treatment. Below are the products we carry and the current offers that come with them. All of these are prescriptions and yearly exams are required. 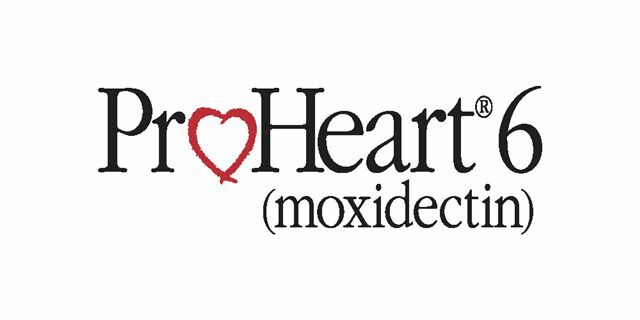 ProHeart 6 is a 6-month injection used for Heartworm prevention. It is used in dogs only. Being an injection, an appointment is necessary for administration. We strongly recommend Heartworm prevention year-round. Heartgard is a chewable heartworm preventative for both dogs and cats. It is a monthly treatment and recommended for year-round use. It helps to prevent heartworm disease (transmitted by mosquitos) and also helps to prevent roundworm and hookworm infections. This is a prescription, so please call ahead for refills. Current Offers: If you buy 12 doses of Heartgard, there is a $12 mail-in rebate. Also, if you buy 12 doses of Heartgard and 12 doses of flea and tick prevention (Frontline or Nexgard) there is a $50 mail-in rebate. You will fill out the rebate form in hospital and we will mail it in for you. All doses have to be the same size.